It's no secret that we regularly look back to Princess Diana's iconic style for 2019 outfit inspiration. From her summer beach attire to her casual everyday looks, the People's Princess's style is as relevant as ever. So with wedding season upon us (including a certain much-anticipated royal affair), we decided to revisit how she perfected wedding guest style in her own way. We dug through the archives to find out what she wore to various ceremonies throughout the '80s and '90s—from a viscount's wedding in Windsor to the nuptials of her former roommate Anne Bolton. (Hint: Per royal customs, she always wore a chic hat.) 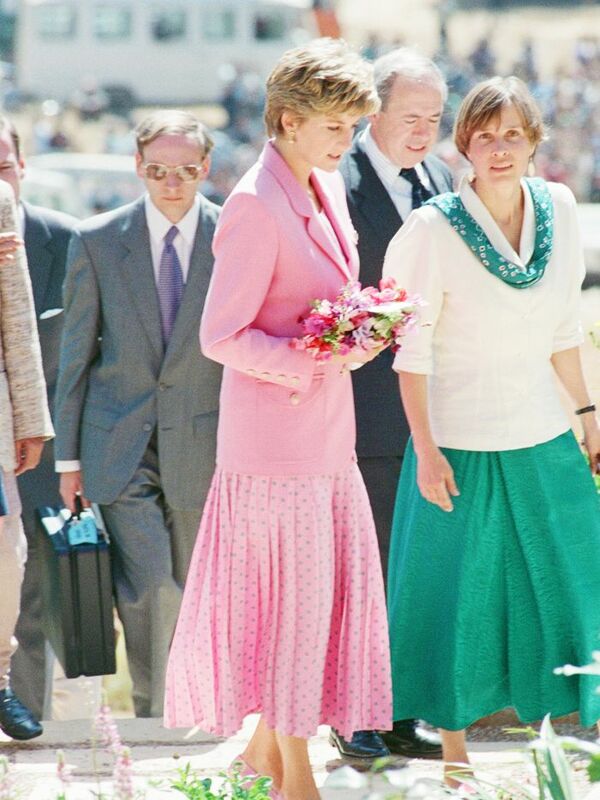 Lady Di particularly favoured skirt suits for weddings, but she added her own flair to the staple by choosing bright colours and fun patterns. Scroll down to see her best wedding guest looks.